The main purpose of Folderit document management system software API or cloud storage API is to allow a partner company to build a flexible functional application. The API allows to get all the functionality that Folderit DMS includes easily and quickly. 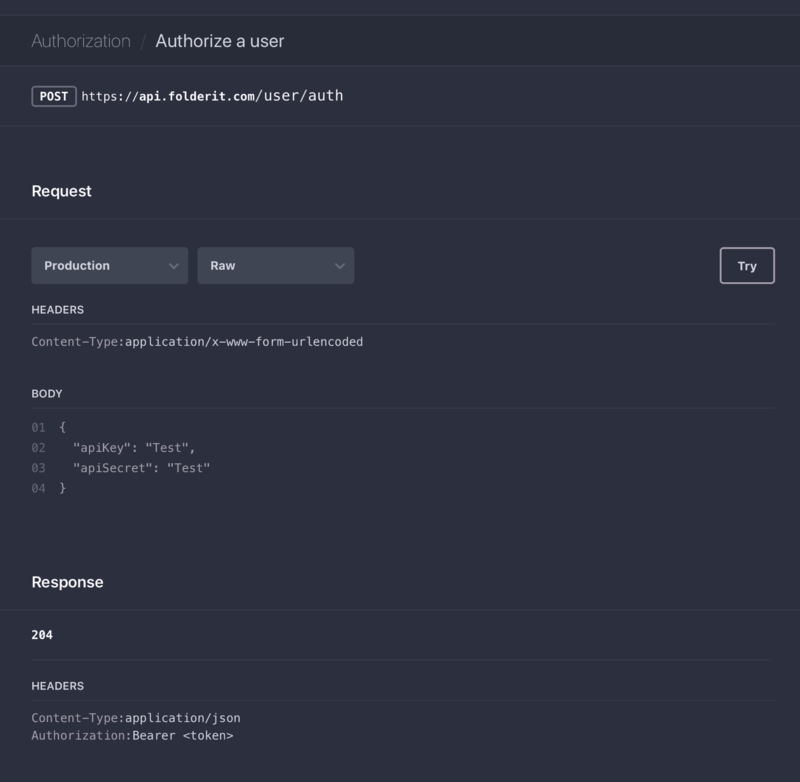 The Folderit cloud storage API is organized around REST – if you have interacted with a RESTful API already, many of the concepts will be familiar to you. We use many standard HTTP features, like HTTP verbs which can be understood by many HTTP clients. JSON or Exception with certain code and message will be returned in all responses from the API. The APIs are designed to have predictable straightforward URLs and to use HTTP response codes to indicate API errors. Folderit has a well-developed document management API. A document management system API is an application programming interface that allows humans to easily interact with a computer. At this point, average users have skimmed right on past this page – but you, dear reader, are not an average computer user, so you either already know what an API is and does, or you are entering “API” in your browser search bar to discover what it is and what it does. Hold up on that search, because we are going to explore this one together. FreeCodeCamp gives a wonderfully humorous explanation, but let’s pare it down to something that everyone can understand. Let’s talk about document management cloud storage APIs a bit more generally. Everything that a computer does is programmed into it. Every piece of information, every free calendar, audiobook or game exists on a server somewhere. The little routines and small programs that let people do things on the computer, such as plan a menu, balance their checkbooks, set up a budget or track their weight are referred to as applications. Applications can do bigger things, as well. One of the important things that applications do is allow humans to type something in English (or Spanish, or Japanese, or German or just about any human language) and it gets translated into computer talk, and the computer does whatever it is the human needs for it to do. These more complex applications can be used to do things like file your taxes, keep records for your business, or collaborate with creative team members who live in several different countries and perhaps even speak several different languages. One of the most marvelous tools on modern cell phones is the translator programs that have replaced old-fashioned phrase books for tourists and others. But those applications – small and large – don’t really exist out there in some etheric plane. They reside and are operated by a computer that is connected to wires or to Wi-Fi communication waves that allows it to “talk” to other computers and share the applications or programs that you need to use for your business, for your project or just to get that reminder call in the morning so you can get up and go to work on time. At this point, let’s examine another computer acronym: DMS. DMS stands for Digital Media Server. Digital media, as you probably already know, is anything that is stored or played back, displayed or read using a computer. Audiobooks are a great example of digital media. Somewhere an author wrote the book, somewhere else a reader read the book out loud – the best turning it into a one-person dramatic performance, the reading is recorded, saved and transmitted using applications stored on a computer somewhere. It might be in the same room with the reader, or it might be hundreds of miles away, but somewhere a computer that is acting as a server for the application the reader uses stores the digital recording. The recording can then be shared, sold, and heard by hundreds of people. That computer is a DMS or digital media server. Digital media doesn’t have to be a sound file. It can be many other things, including your valuable business records. It can be a folder containing information for a collaborative project. It can be a digital card for the boss or a singing telegram for the secretaries on secretary day. It can include reminders for project deadlines or that contract with a freelancer for pictures or words for your next project. We’ve worked hard to make the Folderit cloud document management system software to work with nearly any sort of business, school, or other sort of organization that needs to store and easily access information. We’d like to think that it is a DMS (digital media system, but also Document Management System) that will absolutely knock your socks off with the way it improves your business systems, makes it easy to collaborate with colleagues, helps you track documents and document approval, and much, much more. 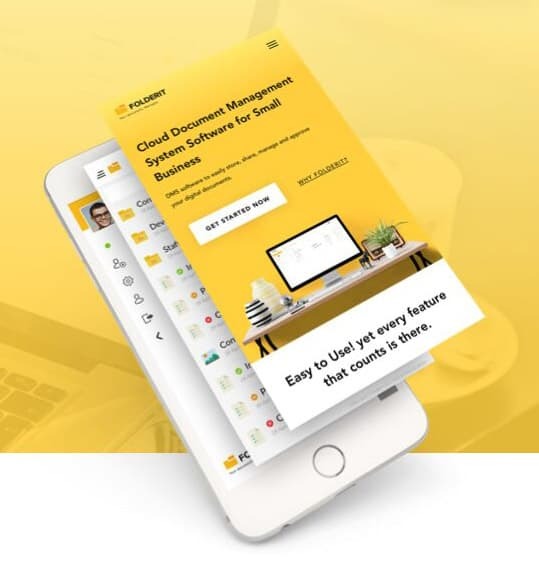 We believe that this is a document management system API that can easily stand up to any of the competition and better it for ease of use, accessibility, and security – because we are really into that “back it up three times” part. You don’t have to take our word for it, though. You can try it Folderit out for thirty days, for free. You can examine all the things it can do for yourself, with no obligation. You can drop it at anytime before the trial is up. But we think that this is a business application that you will want to keep.